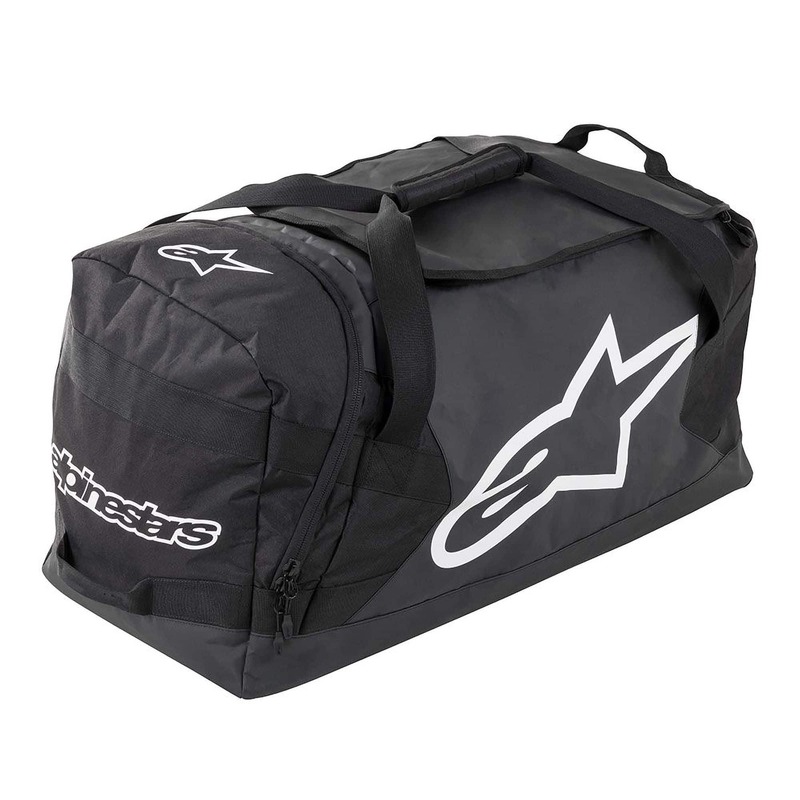 Practical sports bag by Alpinestars with a large main compartment, side zipped compartment and additional inner mesh compartment with zipper on the lid flap for the little things like keys or documents. The sturdy, water-repellent bottom protects the bag from dirt and moisture from below. Includes carrying straps and additional handles for flexible carrying.